The above products are recommended for installation or mounting of the Angle Tension End - VR806. 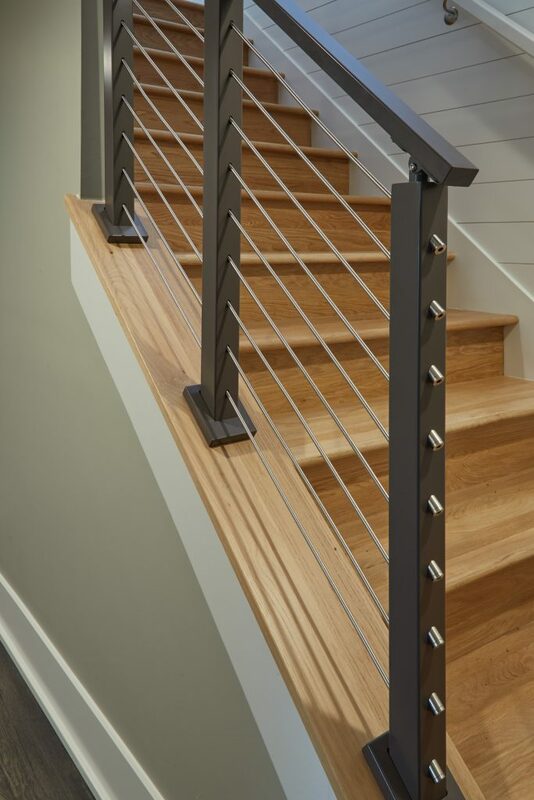 The railing on your stairway deserves to look just as good as the railing on your deck or balcony. If you have one or more open walls on your stairway, you’ll be stunned by how much open space you create by installing a horizontal railing. That, coupled with the sturdiness and sleek style of rods, will make you want to show off your stairway. 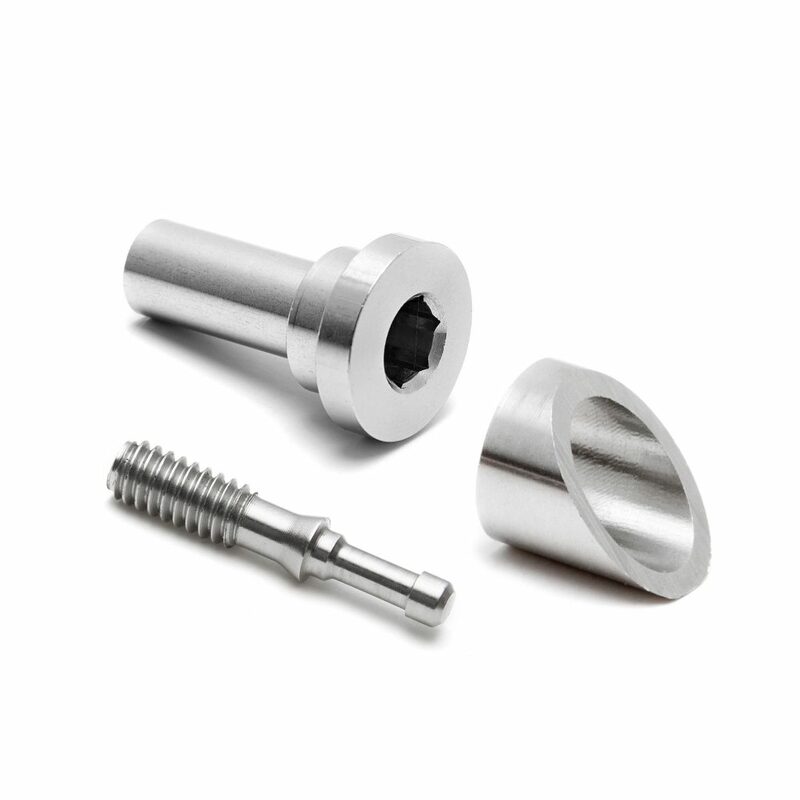 This kit includes three components: a tension receiver, threaded crimp fitting, and an angle washer. The threaded crimp fitting inserts into the rod and is crimped on, ensuring that it won’t pull out. Then, by threading it into the tension receiver, you get seamless active tensioning. The angle washer will ensure that the tension receiver sits flush against the back of your post, giving it a polished, intentional look. Do you have installation instructions for the rod railing and angled tensioners? Take a look at this link: Rod Railing Installation Guide. If you have any additional questions, please give our team a call at 1 (866) 226-6536.